Once in awhile, a piece of furniture comes up that we love and add to our decoration wishlist. 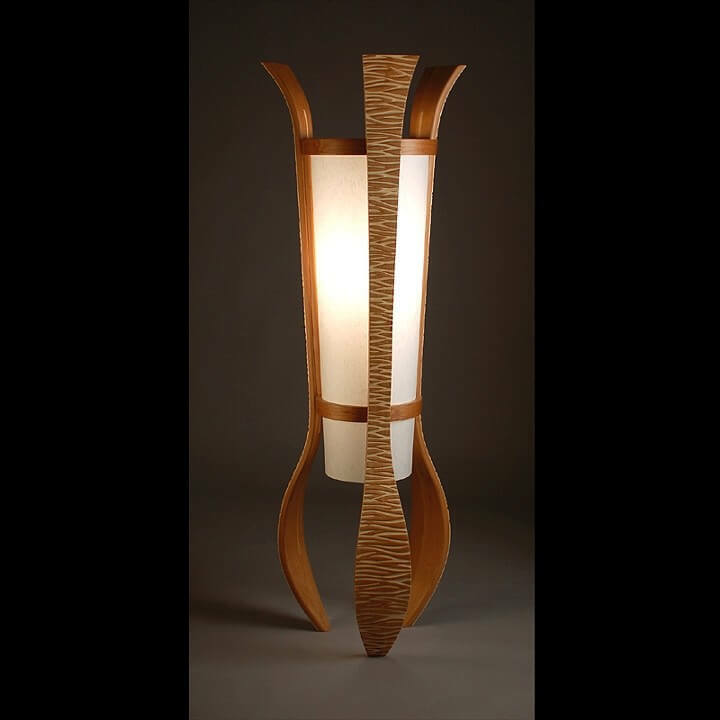 Kyle Dallman designs that kind of furniture: all his beautiful pieces add warmth to any room. Our favourites are the wood floor lamps, with one we like particularly. 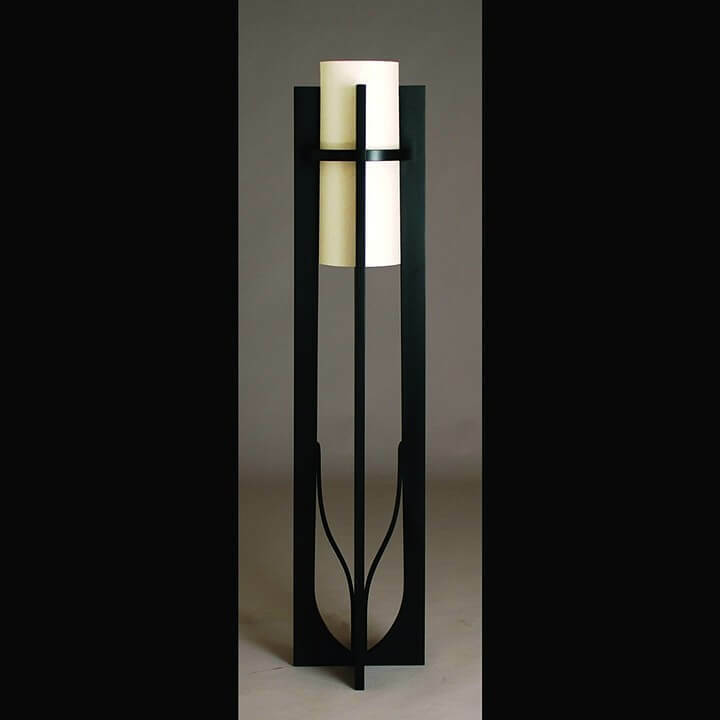 Dallman’s floor lamps are all handcrafted. As a result, they are all slightly different from one another, mainly in the pattern of the wood grain and minimal color variations. This means that every time you get one of his pieces, you will be getting a one of a kind lamp that will certainly make a lot of success between your peers. The Aella floor lamp is the one we like the most. All made from wood – not a wood finish -, it is great for a living room or even an office. 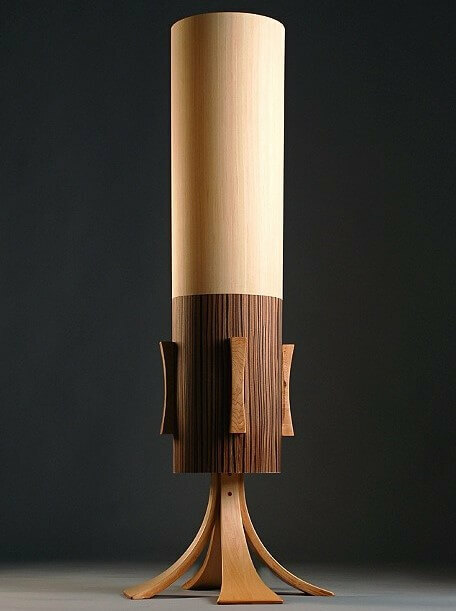 If is built of laminated red alder and aspen wood, and was first created in 2009. The lamp shade is made of kinwashi paper and features two bulb holders inside, controlled by a two way switch.You can use any standart light bulbs. A very beautiful piece.